Most people rightly focus on medical marijuana when considering the health benefits of cannabis. However, an increasing number are finding similar benefits from the use of cannabidiols (CBD), especially for active people & athletes in sports medicine. Part of the growing popularity involves how many athletes have extolled the benefits of CBD. If it works for them, the thinking goes, than why wouldn’t it work for runners and those who work out regularly? 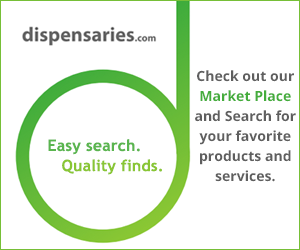 A host of CBD products are available on the market. It’s already something advocated for years by amateur athletes. Perhaps the best known advocates are those who sponsor the 420 Games. The games, held each year in cities around the country, highlight the use of cannabis products for active people. It also contradicts the enduring stigma of marijuana users as stoners sitting on the couch, watching television and eating pizza. Medical studies into CBD are still in their infancy. But some studies have already shown the benefits that Camozzi saw. And those who regular use the products report many different areas where it can help. Controlling appetite. Some report that a steady dose of CBD can regulate their appetite, leading to them eating less. Aches and pains. As Camozzi reported, some experience quicker recovery from aches and pains using CBD oil. In some cases, people use a small amount before a workout, leading them to recover faster after it’s over. Energy boost. Some report that CBD can give a slight energy boost, without the jittery feeling some energy boost products cause for many. Also, as noted by many, there is no “high” feeling. That’s a good thing for sports medicine & athletes working to focus on fitness. The potential uses of CBD products are just scratching the surface. As further study looks into the issue, expect to read about more the benefits of CBD. It’s a natural way to get health benefits without the danger of man-made drugs.